In the real estate transaction process, most buyers don’t give much thought to title insurance when they buy a property. We know that it’s a mandatory fee when financing a purchase, so we just accept it and pass over it. But it ‘s actually one of the most important line items on a closing statement. 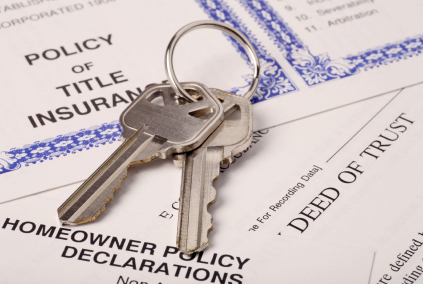 Title insurance has many benefits for everyone involved in transaction, especially the buyer. A seasoned attorney or title agent will review all aspects of the property in an effort to identify and eliminate any problems that currently exist. After complete review and clearance, a policy is then written, giving the buyers peace of mind that the property will not carry any historical surprises that can cause financial strain in the future. Generally speaking, the title company or real estate attorney will perform a title search, starting with the most recent deed and dating backward through time to the originating deed. This reveals a chain of ownership, a list of all debts that have been paid and any remaining liens, easement issues and any other restrictions that could affect the title of the property. If that sounds important, it’s because it is! This one-time fee will provide you with the knowledge that the title interests of your new property are virtually riskless. And if something does come up at any time after you take ownership, you can rely on that policy to keep you and your finances safe from the threats of past title issues. The Law Office of Donna Hearne-Gousse, P.A. is located in Royal Palm Beach, FL and serves all of Palm Beach County. We provide attorney based title services at rates that are equal to, and in some cases, lower than those of a standard title agency. Feel free to contact us for complete guidance on buying or selling property in the state of Florida.